When I was trying to decide on the last book I wanted to read for 2014, I knew I wanted to read something really great. 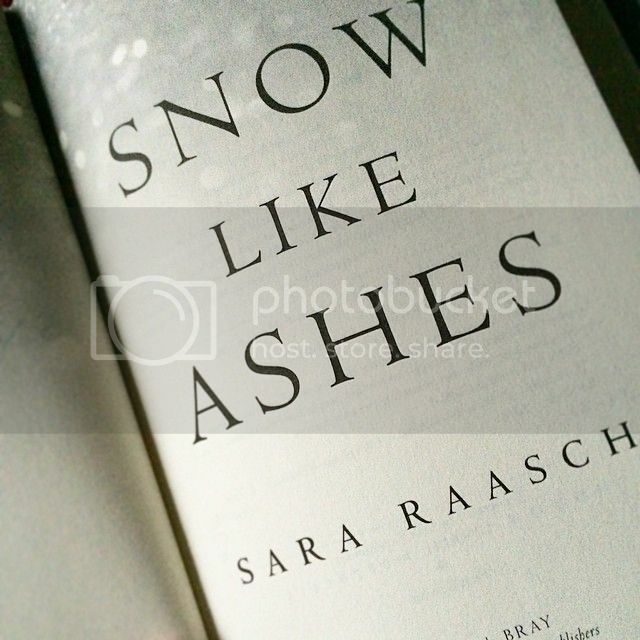 So with high hopes I picked up Snow Like Ashes by Sara Raasch. I’d heard so many great things about the book, so I was hoping it would be just what I was looking for. And I boy was it!! 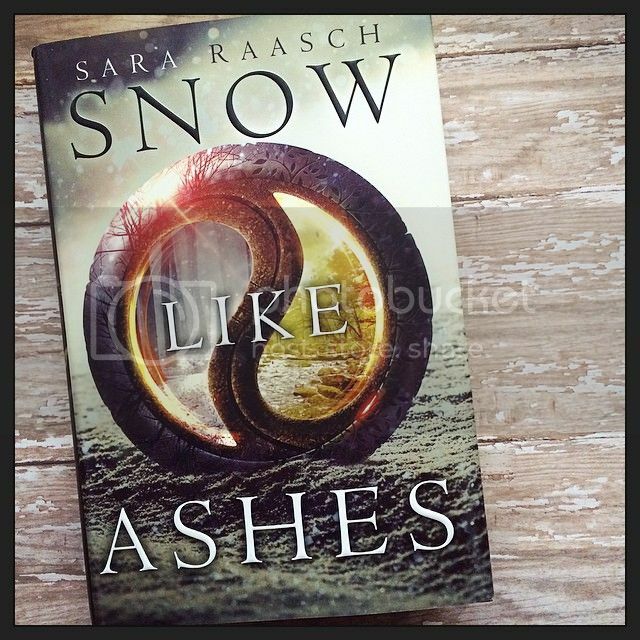 Snow Like Ashes has earned as spot as one of my favorite reads of 2014! The main character in the story, Meira, was very well written. I’ve seen some people compare her to a young Xena: Warrior Princess, and that’s pretty much how I imagined her as well. She was strong and determined; willing to do what she needed to do for her people. She wants nothing more than to see her Kingdom once again restored to power, and freedom for her fellow Winterians’. Through all the things that she went through in the story, she stayed strong and proved herself to be a really great character, and a fierce warrior. The secondary characters were well written as well. I especially loved Sir, Mather & Theron. There is a bit of romance in the book, but it’s not overpowering in a way that it takes away from the storyline. 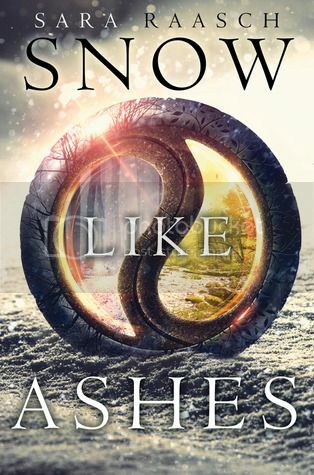 It felt like there was meant to be a love triangle as well, but it really didn’t feel that way to me the more I read the book. It felt like one half of the triangle were two people who were really comfortable with each other because they’d never really known anyone else. And the other half of the triangle is a new relationship that I am really going to enjoy watching grow in the future. Hopefully. Another thing that had me completely hooked when reading this book was the action. There was never really a dull moment in this book, and all the suspense and surprising plot twists kept me turning the pages well into the night. And let me tell you, there are some super surprising twists in this story, including a few that had me pumping my fist into the air in joy! Also, the world-building was super creative; I could easily imagine in my mind all of the kingdoms as they were described in the book. My favorite kingdom would have definitely been Winter! How wonderful this place sounds. 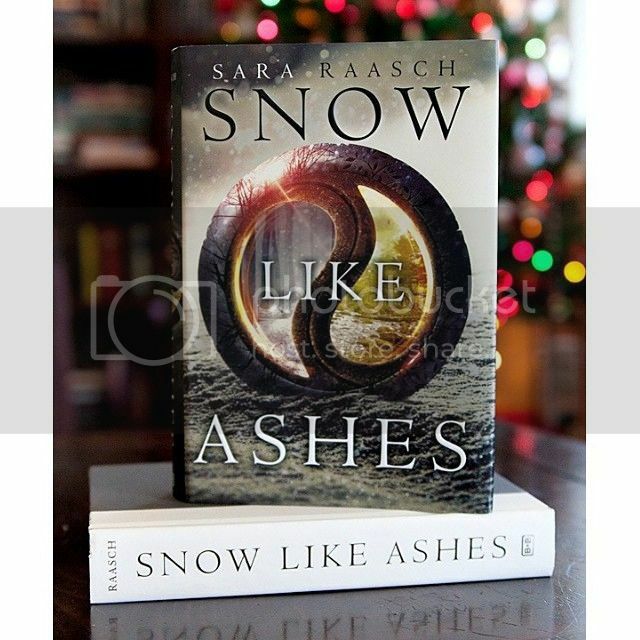 Overall; If you’ve read a hundred reviews already that said Snow Like Ashes was awesome, then mine is just another to add to the list. This book definitely closed out my year with a bang, and I’m so glad to have read this as my last read of 2014. If you haven’t read the book yet, or added it to your to-read list, I implore you to do so. You definitely won’t be disappointed! What I want in a book: action-packed and fast-paced. From your review, it seems that this book is just right up my alley. I heard so many great things about this one too and maybe it's time for me to read it. I also read a really great book before the 2014 ended. It's Throne of Glass by Sarah J. Maas. Have you read it yet? OOOoh nice! This makes me very happy! Have heard lots of great things and I just read another review where she liked it but didn't love it. But now my hopes are restored!! This is my next read! Planning to start it soonish! A great way to start 2015 since it was a great way to end 2014 for you! Great review!